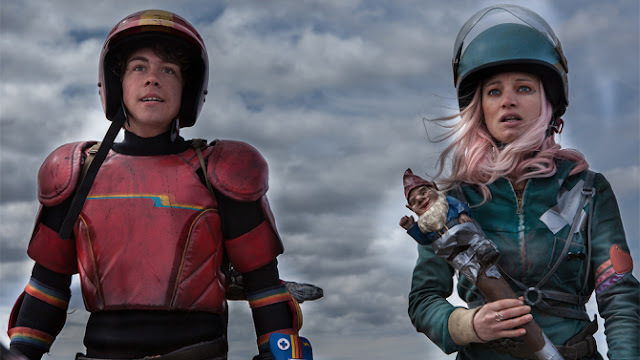 With its Laserdisc-inspired intro, synth-heavy score, and hair band soundtrack, everything about Turbo Kid screams retro. And that's before we really even get into the plot; a patchwork homage of '80s genre riffs, bursting with just as much heart as it bursts with gushes of fake blood. While retro cinema has long become an overexposed trend in itself, Turbo Kid is one of the best examples, working as a nostalgic love letter and a cheesy spin on Mad Max, making its timing pretty darn perfect. Set in the distant future of 1997, the earth has been rendered an inhabitable wasteland, with water a rarity and what's left of humanity living in the Wasteland zone. 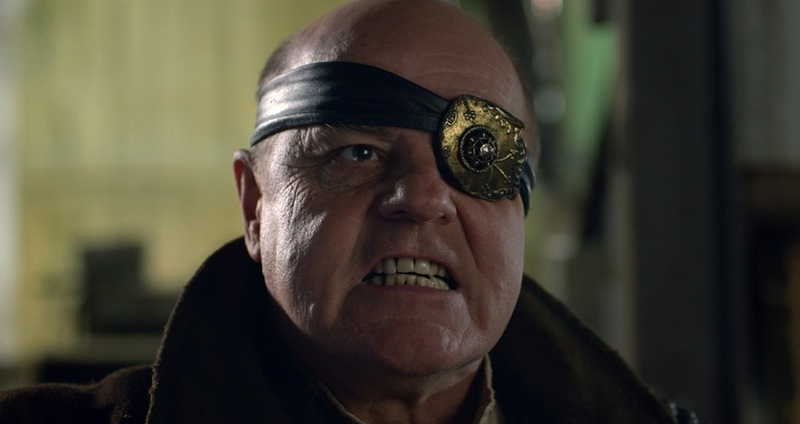 That's where we find our hero, known only as The Kid (Munro Chambers), a BMX-riding scavenger trying to survive the brutal regime of Zeus (Michael Ironside), a warlord who controls the flow of water and commands an army of masked goons. Zeus gets his kicks by tossing his victims in a giant pit (really an empty pool) and having them fight to their deaths gladiator-style. The Kid has been on his own ever since his parents were brutally murdered, but he finds companionship upon encountering Apple (Laurence Leboueuf), a wild, pink-haired girl with a screw loose in more ways than one. Inspired by finding the suit of his favorite superhero, Turbo Man, The Kid, Apple, and an arm-wrestling drifter set out to put an end to Zeus' reign of terror. 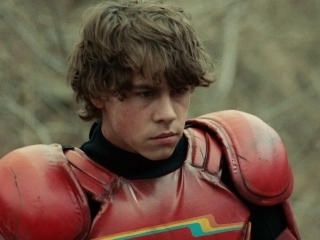 With its campy gags, shoestring budget, and reluctant hero, Turbo Kid resembles all of those terrible post-apocalyptic wannabes from the '80s. What makes this film so much fun is that it isn't taking itself seriously at all. There's a lot of winking going on here that genre fans will recognize; everything from Army of Darkness ("This is my gnomestick! "), to Soylent Green, and of course, George Miller's Mad Max movies. The film was written and directed with obvious love for the time period by Anouk Whissell, François Simard, and Yoann-Karl Whissell, who created it originally as a short movie. It's easy to see how that would have been the case, and it shares more than a few stylistic similarities with Jason Eisener's violent B-movie, Hobo with a Shotgun, which makes sense considering Eisener exec-produces and has a small cameo. While there aren't a lot of big names to be found, scoring a veteran like Michael Ironside, a staple of many a bad '80s action flick, was a tremendous coup. His enthusiasm only seems to skyrocket as the geysers of blood shoot into the air and the corny dialogue flows. He gets exactly how this kind of cornball film is supposed to be played, and undoubtedly he spread that wisdom to his younger co-stars as both Chambers and Leboueuf are terrific. As enjoyable as the performances and numerous sight gags are, there's still barely enough here to pad out the 90-minute runtime, which probably goes back to this being a short movie before it became a feature. 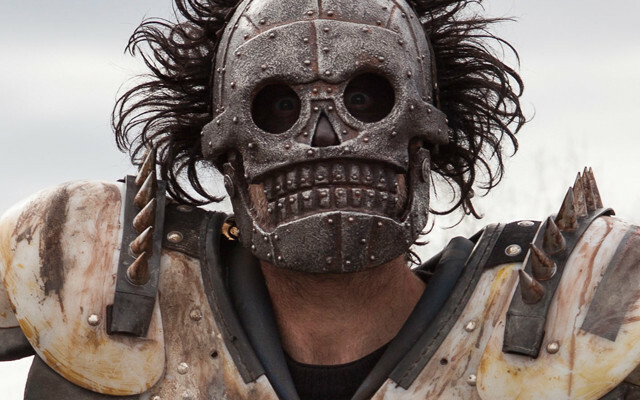 It's probably safe to say that Turbo Kid's goofy exterior and odd sense of humor won't be to everyone's liking, but this movie wasn't made for those people, anyway. 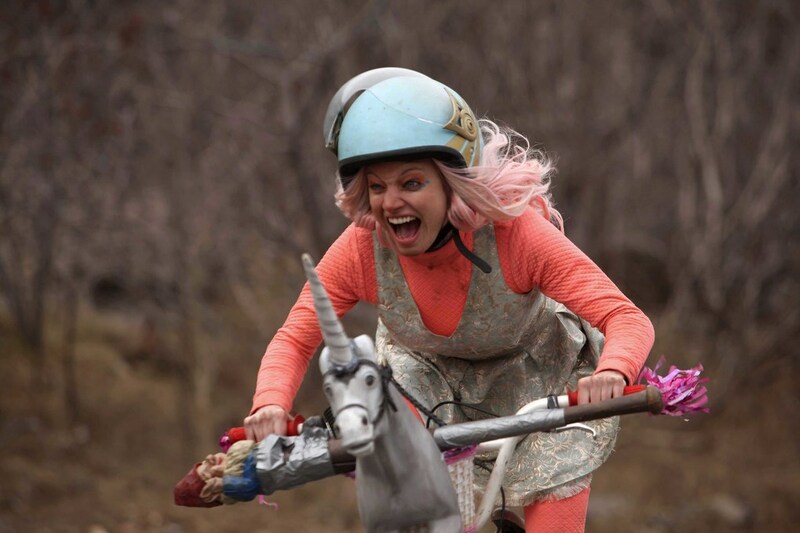 There's an audience out there who will lovingly embrace Turbo Kid, and for them they'll look at it as a modern day cult classic.